This is a game based on the movie Disney's Zombies. This film tells about a school in the city of Zombietown. Once at the local chemical plant an accident occurred and half the city became a zombie. To survive the rest of the population of the city, it was decided to build a fence. Over time, scientists have learned to tame the zombies, and even the children of people can now go to school with the zombies. In this game you will meet students of the school. This is Zed, Addison and Eliza. In this game of the Disney Zombie Dress Up, you will be able to choose clothes for these students of the school. Try to guess which one of them is a zombie, and who is a person. Played: 2187. Added: 13-11-2018, 01:35. 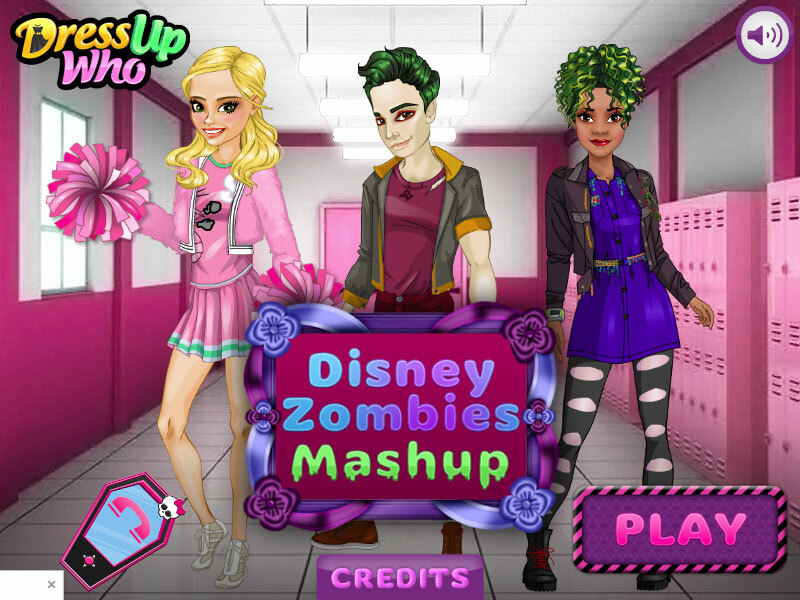 Disney Zombies Mashup dress up game.